Home » DMHP » “Counselling room” opened at extension clinics of CMHP-Kottayam. 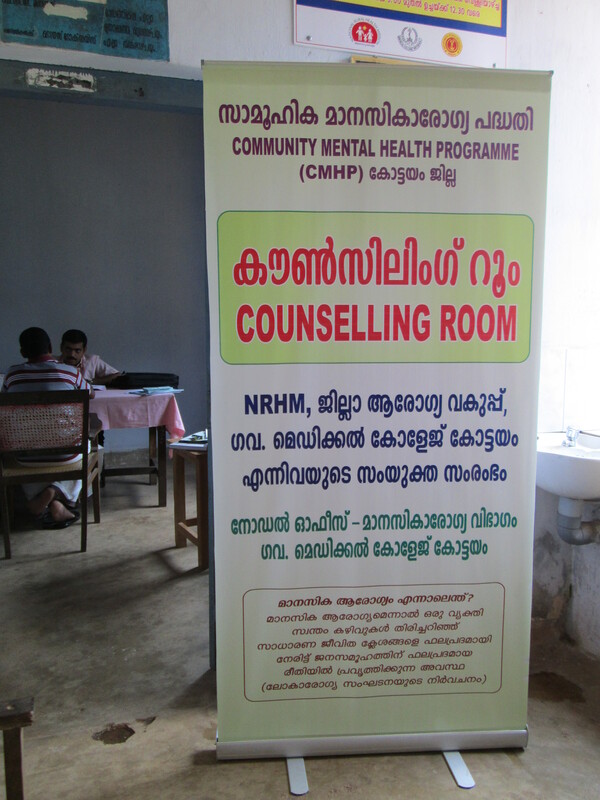 “Counselling room” opened at extension clinics of CMHP-Kottayam. 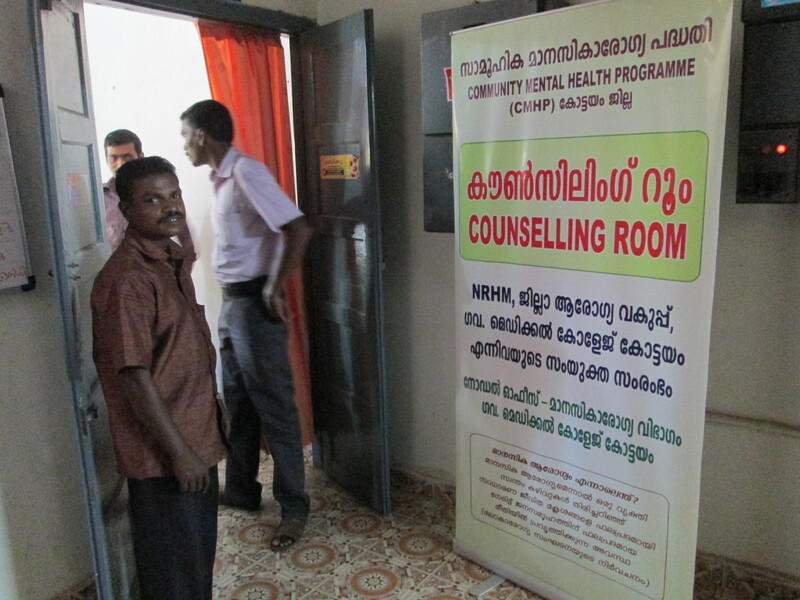 Counselling rooms were opened as part of the Community Mental Health Programme (CMHP) Kottayam at its monthly outreach clinics. Note the portable stand-ease board which is can be rolled down and packed into a carry bag for the next clinic. Brief supportive psychotherapy for Common Mental health issues. Assessment of women and elderly who need intensive case management needs. Case management of dementia and mentally retarded children. Linking home based care by collaboration with field staff ( (JHI/JPHN) who have started attending the clinic. (Patronage for the same received from the deputy DMO-Kottayam). By kumarRam in DMHP, Outreach Mental Health Clinic, Services & Policy on February 15, 2014 .